This is the landmark first issue, featuring cover art by Steve Ditko and Jack Kirby and interior art by Ditko. The Fantastic Four also appear in the story and on the cover. Obviously, this comic is one of the most sought after of all comics! 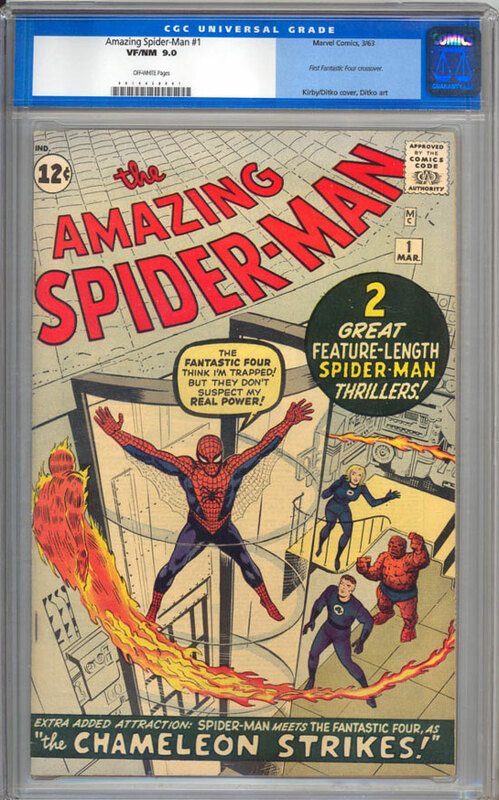 With the recent success of the Spider-Man movies, the trend will surely continue, causing the price of the first issue to rise, especially High-Grade copies such as this one. The book has strong cover colors and gloss, a tight spine and great eye-appeal. The next highest grade will cost approximately $10,000-$15,000 more, making this grade very desireable and affordable.